Company | Schaeffler Group USA Inc. The Schaeffler Group is a global automotive and industrial supplier whose enduring success is built upon unsurpassed quality, outstanding technology and a singular innovative ability. With high-precision components and systems for engine, transmission and chassis applications as well as rolling and plain bearing solutions for a wide range of industrial applications, the Schaeffler Group is actively shaping “Mobility for tomorrow.” Over 92,000 employees make Schaeffler one of the world’s largest family companies, whose worldwide network of manufacturing locations, R&D facilities and sales offices encompasses approximately 170 locations in over 50 countries. 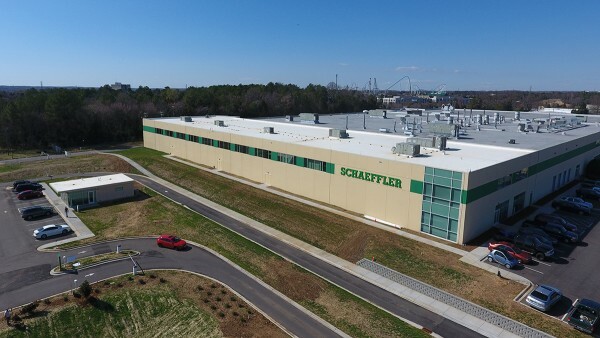 Schaeffler Group USA Inc. is headquartered on a 60-acre campus in Fort Mill, South Carolina, that comprises two administrative buildings, two manufacturing plants and a Technology Center. The site also serves as the regional headquarters for Schaeffler in the Americas. As such, it is responsible for the engineering, production, sales and marketing of Schaeffler’s renowned INA, LuK, FAG and Barden product brands throughout the United States, Canada, Mexico, Central America, the Caribbean and South America. 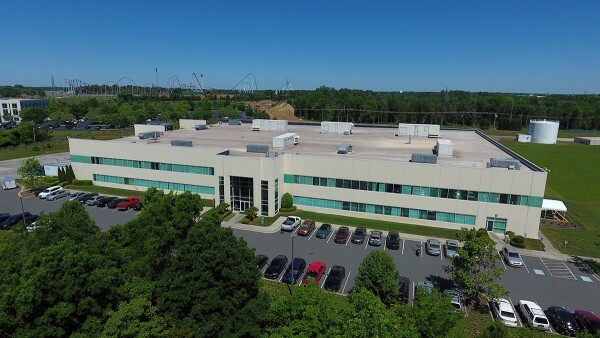 Schaeffler operates eight manufacturing plants in the U.S.: In addition to the two factories on the Fort Mill campus, production takes place in Danbury, Connecticut; Winsted, Connecticut; Joplin, Missouri; Wooster, Ohio; and Cheraw, South Carolina (which is home to two manufacturing facilities). Schaeffler’s U.S.-based R&D activities are spread across three sites, which include the aforementioned Fort Mill Technology Center as well as an Automotive Center in Troy, Michigan, and an Innovation Center in Wooster, Ohio. Schaeffler’s high-precision products and system solutions are found in virtually any technological application: from automotive drivetrains to high-speed trains to wind turbines to production machinery to aircraft – and everything in between. To that end, Schaeffler is organized into three divisions: Automotive OEM (Original Equipment Manufacturer), Automotive Aftermarket and Industrial. Schaeffler’s Automotive OEM division develops and manufactures a broad portfolio of products across the entire vehicle powertrain – regardless of whether the vehicle in question is driven by an internal-combustion engine, a hybrid-electric system or a battery and electric motor. Accordingly, the world’s leading automotive OEMs rely on Schaeffler products such as valve train components, variable camshaft timers, belt & chain drive systems, thermal-management modules, strut bearings, wheel bearings, torque converters and balance shafts as well as cutting-edge technologies such as active mechatronic roll-control systems. On average, Schaeffler supplies 60 components to every vehicle in the world. Schaeffler’s Automotive Aftermarket division is a leading partner to the automotive and commercial vehicle original-equipment and replacement parts markets in North America and throughout the world. Schaeffler Automotive Aftermarket offers a full lineup of repair solutions for transmission, engine, and chassis applications through its LuK, INA, FAG and Ruville product brands. In addition, REPXPERT by Schaeffler provides comprehensive services for repair shops, including training courses, live hotline support, an online garage portal and even special repair tools. So, while Schaeffler is actively shaping “Mobility for tomorrow,” Schaeffler Automotive Aftermarket is supplying the parts and services that keep yesterday’s and today’s mobility solutions running like new. Schaeffler’s Industrial division supplies a broad portfolio of products such as rolling bearings, plain bearings, linear motion systems and direct-drive technology – along with a complete array of support services, maintenance products and condition-monitoring solutions through its Industrial Aftermarket unit – to customers in over 60 different industrial sectors. Strategically utilizing its direct sales channels and a global network of certified distribution partners, Schaeffler Industrial focuses its activities across eight primary sector clusters: Wind, Raw Materials, Aerospace, Railway, Off-Road, Two-Wheelers, Power Transmission and Industrial Automation. No matter the application, Schaeffler’s products and services are designed to improve the performance and reliability of all types of industrial equipment and machinery, while reducing downtime and overall operating costs.